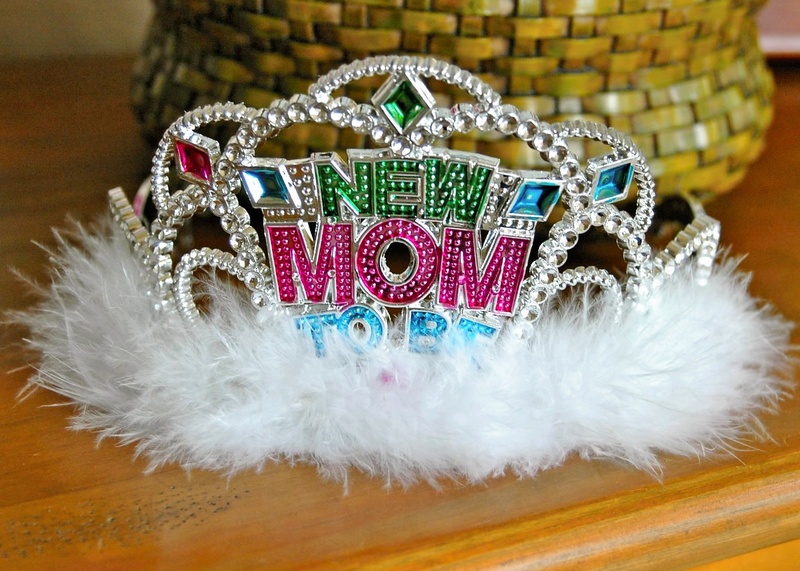 Yes, this is a tiara. And, yes, I wore a tiara the whole time! We were in Texas last weekend for a baby shower. We had a fabulous time and are so fortunate to have such great family and friends. The massive amount of stuff required for a baby is overwhelming, but even more overwhelming is the generosity of our family and friends!! We’re so grateful for the many things we’ve been given for Baby and for the emotional support you have provided (and are providing). We especially appreciate the acceptance and understanding of our somewhat non-traditional plans for birth. Special thanks to Connie, Carol, Jamie and Stephanie who hosted the shower; to all the amazing women who participated (in person and from afar); and to the guys for doing “guy things” with Aaron during the ladies-only shower. Thank you all! This entry was posted in Acquisition of Stuff, Pregnant Mama Status. Bookmark the permalink.